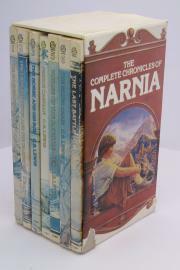 The Chronicles of Narnia is a series of seven high fantasy novels by author C. S. Lewis. It is considered a classic of children's literature and is the author's best-known work, having sold over 100 million copies in 47 languages. 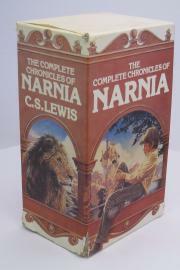 Written by Lewis between 1949 and 1954, illustrated by Pauline Baynes and originally published in London between October 1950 and March 1956, The Chronicles of Narnia has been adapted several times, complete or in part, for radio, television, the stage, and film.